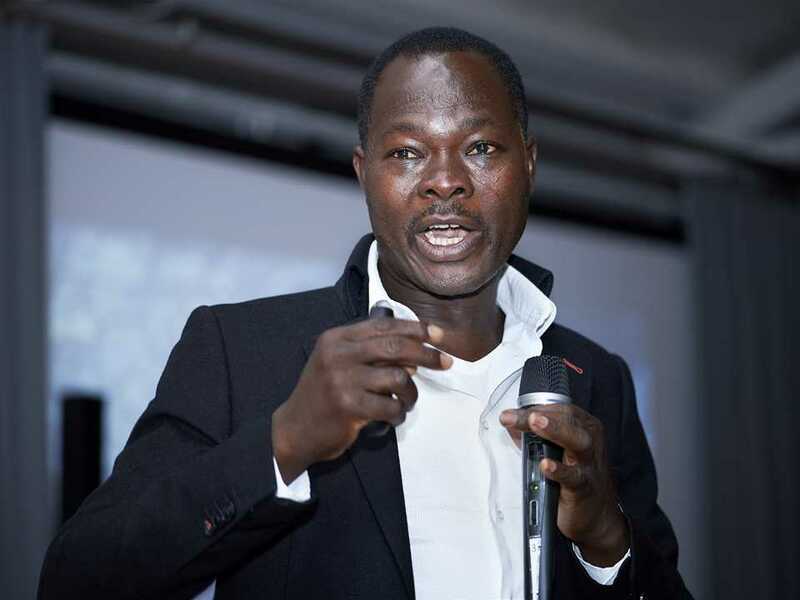 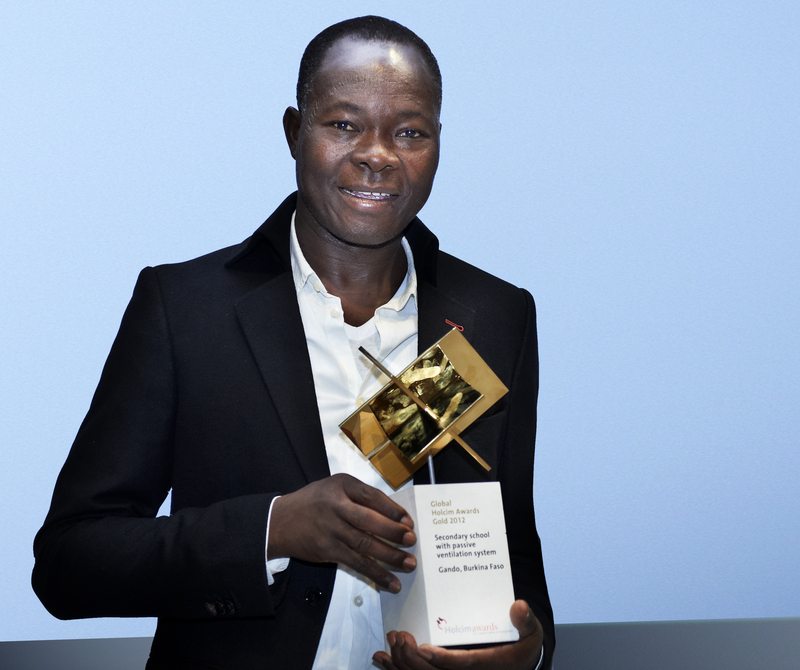 Francis Kéré is Principal of Kéré Architecture (Berlin), winner of the Global LafargeHolcim Gold (2012) and LafargeHolcim Building Better Recognition for Middle East Africa (2017). 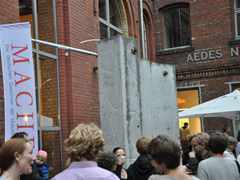 Photo: Eric-Jan Ouwerkerk. 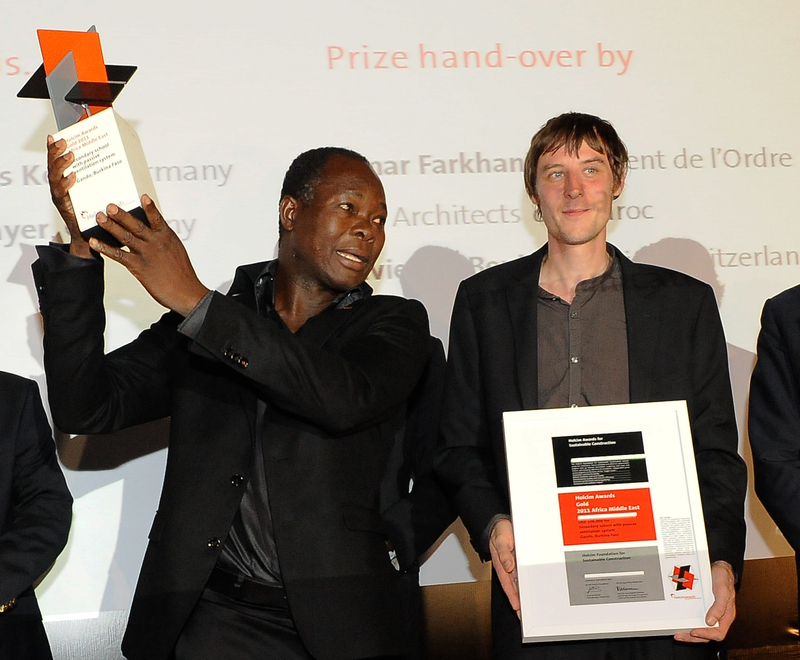 Francis Kéré, Principal of Kéré Architecture, based in Berlin and Global LafargeHolcim Awards Gold winner. 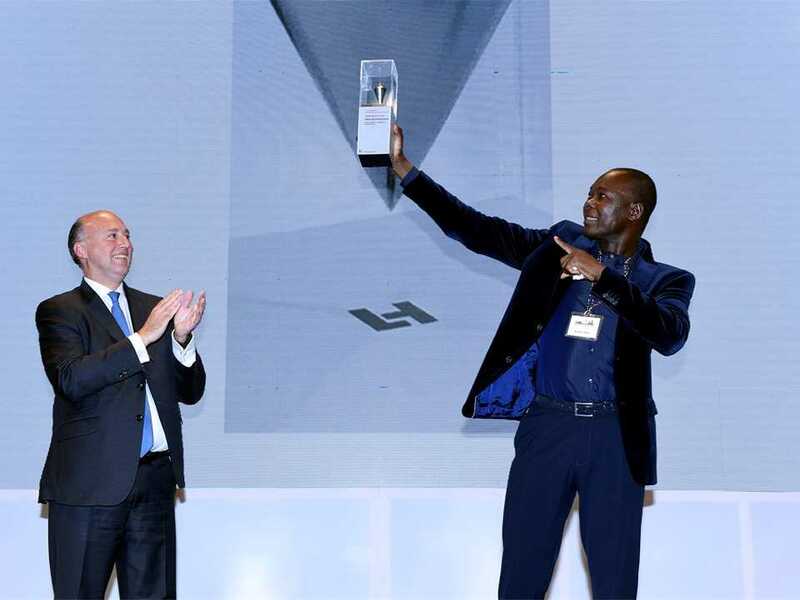 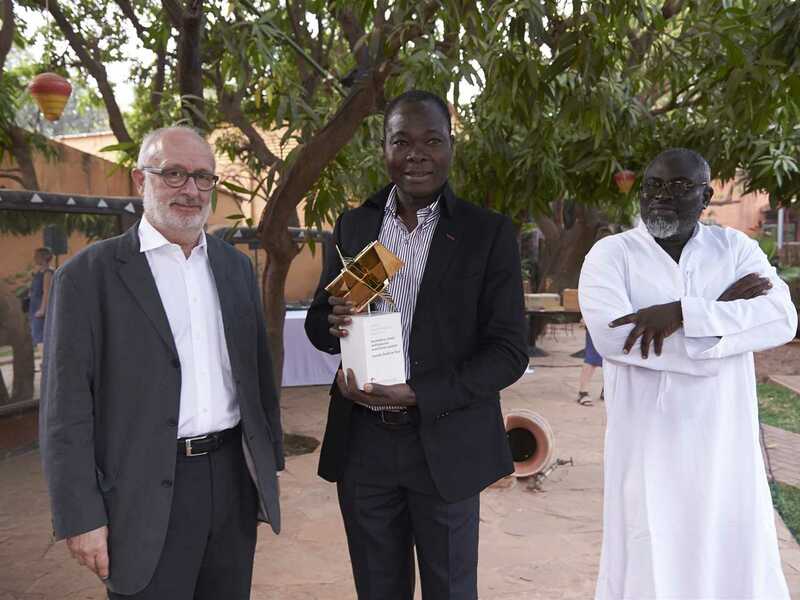 The very first LafargeHolcim Building Better Recognition was presented to Francis Kéré from Germany for his school building in Burkina Faso, which won the Global LafargeHolcim Award Gold in 2012. 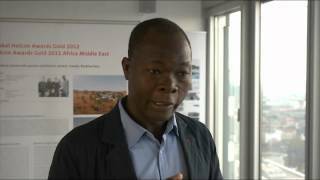 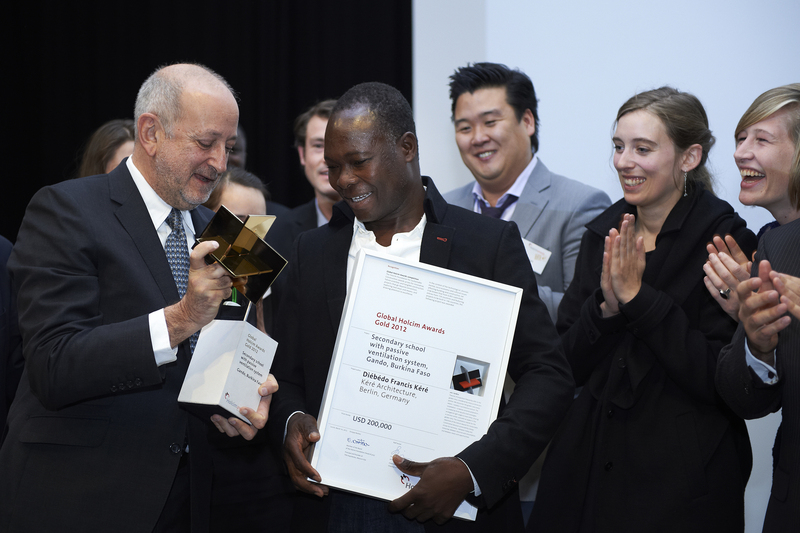 The Global Holcim Awards Gold 2012 trophy was presented to Diébédo Francis Kéré for "Secondary school with passive ventilation system", Gando, Burkina Faso at the Rolex Learning Center of the EPFL Lausanne, Switzerland. 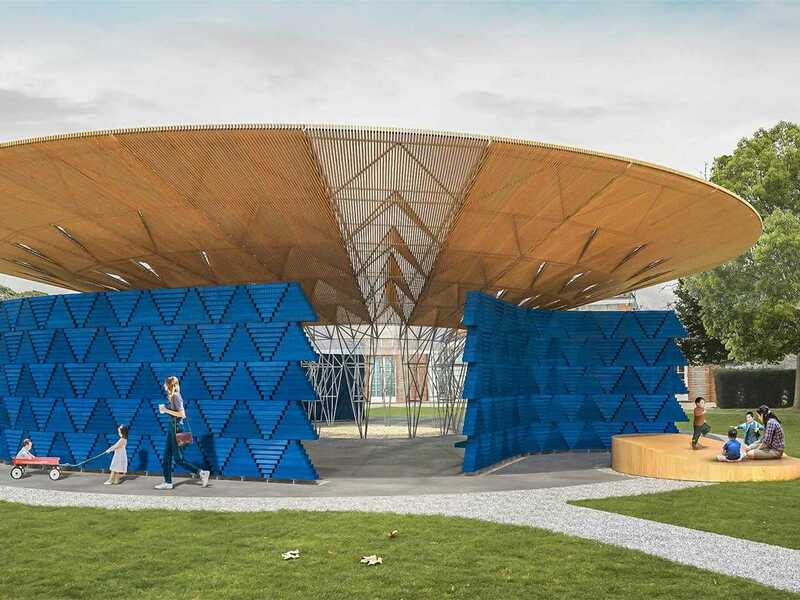 “The tree was always the most important place in my village – I want the pavilion to serve the same function: a simple open shelter to create a sense of freedom and community” – Francis Kéré’s Serpentine Pavilion. 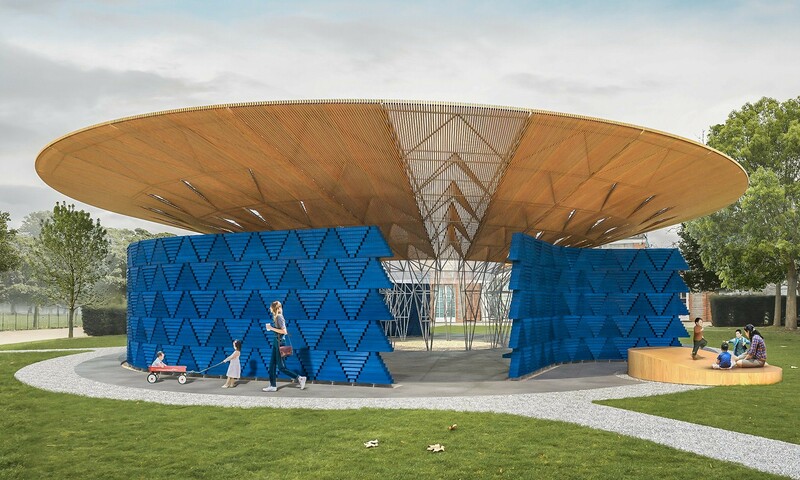 Photo courtesy: Serpentine Gallery. 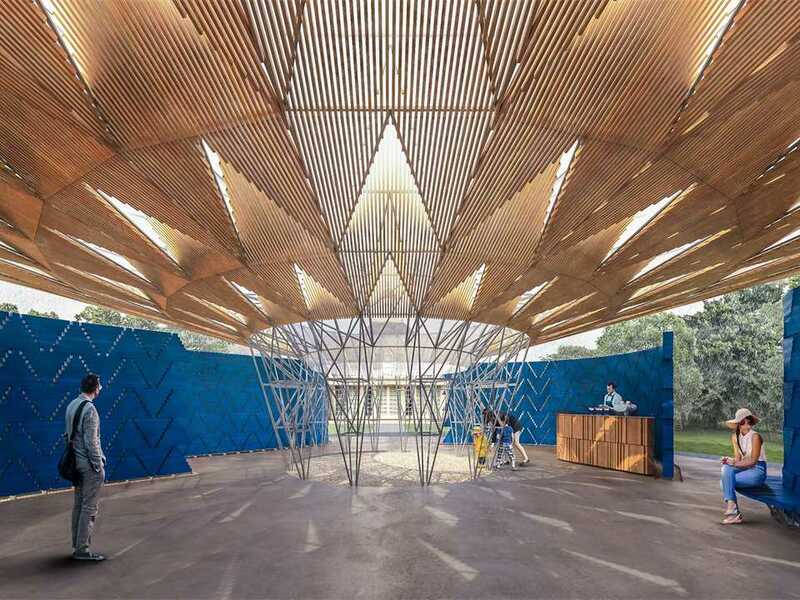 Francis Kéré has configured his London canopy with summer rain in mind, designing the shallow saucer to funnel water into a central opening, where a ring of slender steel trusses will support the great wooden bowl. 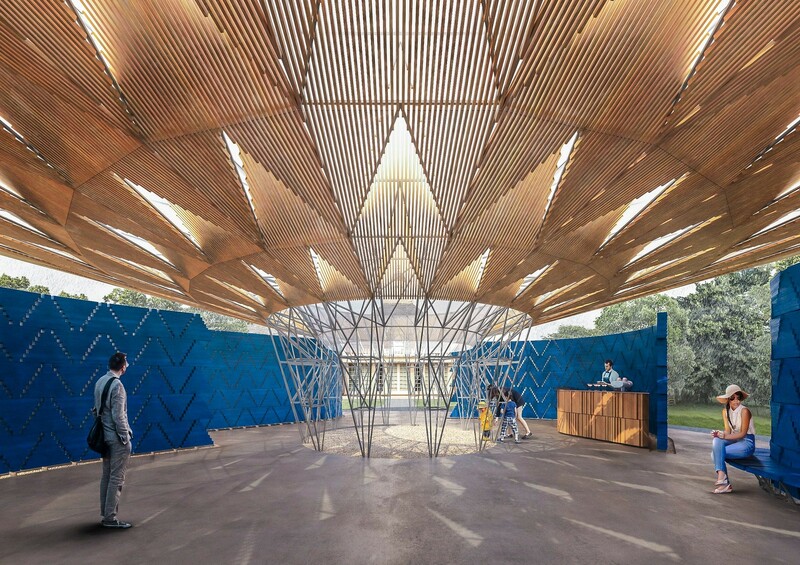 Photo courtesy: Serpentine Gallery. 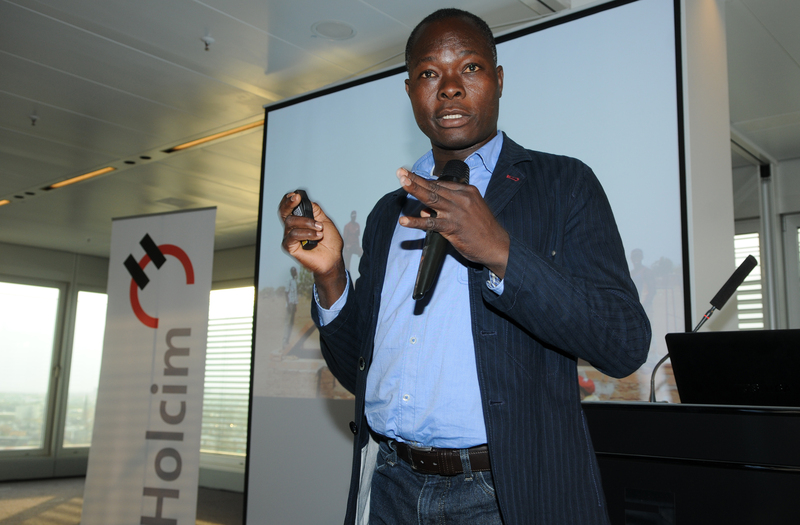 Francis Kéré presents the Global Holcim Awards 2012 Gold winning project “Secondary school with passive ventilation system”, at the launch of Machen! 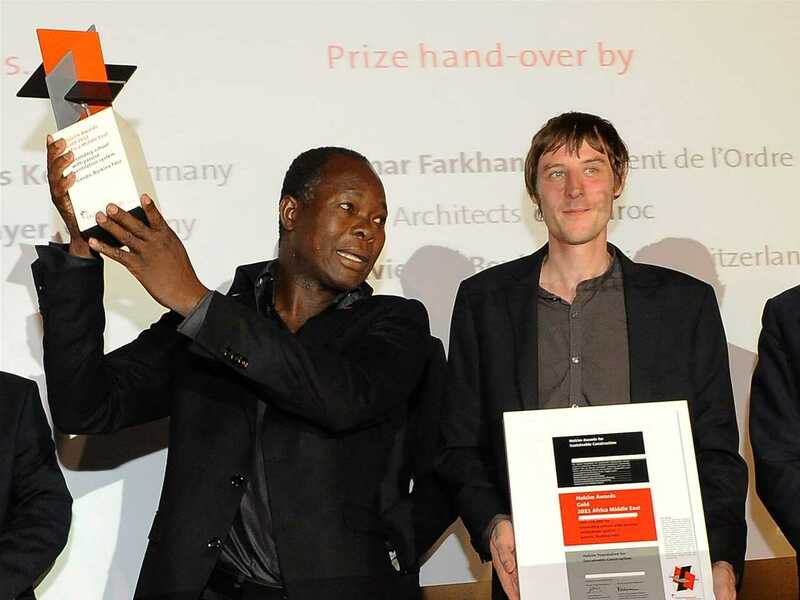 – Die Deutschen Gewinner der Holcim Awards 2011/2012, a new publication of the Holcim Foundation which brings to life the six Holcim Awards 2011/12 prize-winning projects with were submitted by authors from Germany located on three continents. 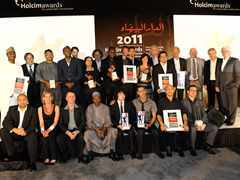 Holcim Awards 2011 Gold winner for region Africa Middle East - Diébédo Francis Kéré, Kéré Architecture, Germany. 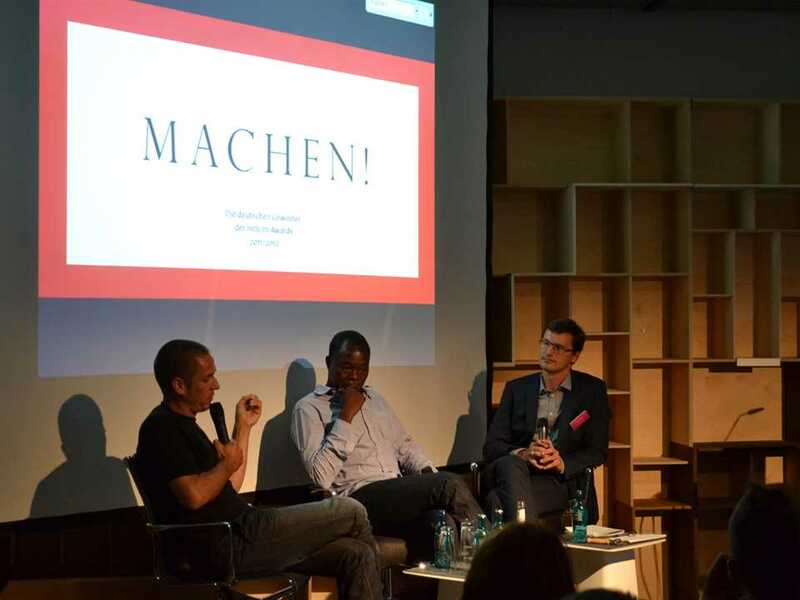 Panel discussion on “Old materials newly installed” (l-r): Eike Roswag, architect, Ziegert | Roswag | Seiler Architekten Ingenieure ; Francis Kéré, architect, Kéré Architecture; and Andreas Ruby, exhibition curator, Ruby Press. 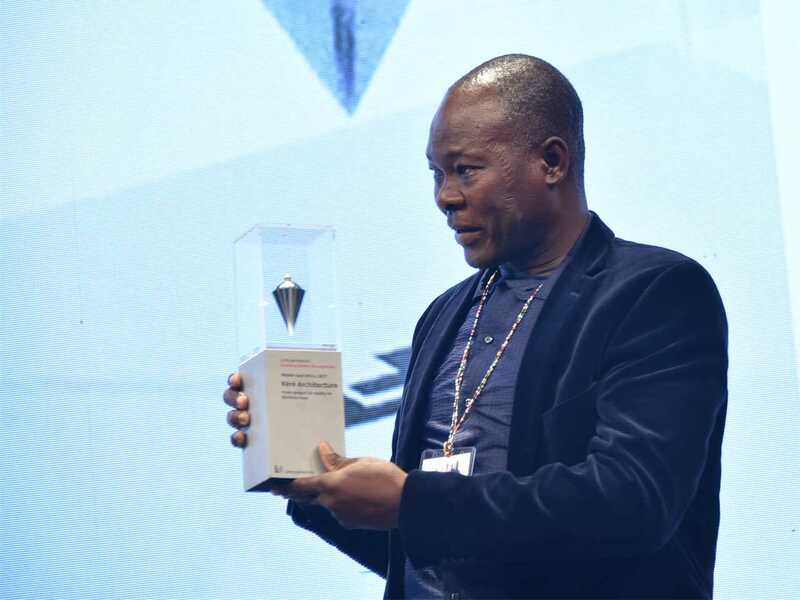 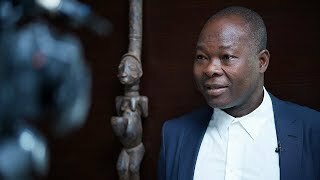 “What we are doing here is more than just architecture or development aid.” – Francis Kéré, Global Holcim Awards Gold 2012 winner. 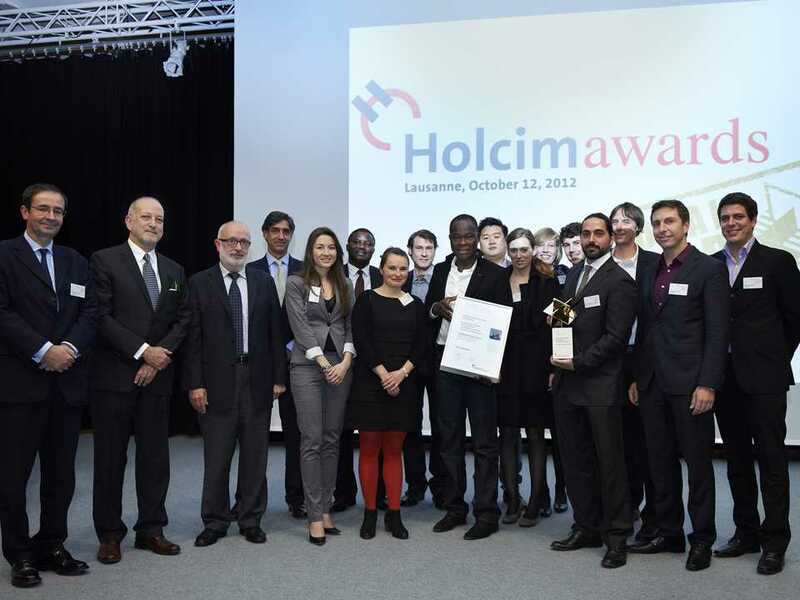 Presentation of the Global Holcim Awards Gold 2012 in Lausanne, Swizterland (l-r): Bernard Fontana, CEO, Holcim; Enrique Norten, Principal/Founder, TEN Arquitectos & Head, Global Holcim Awards jury; Rolf Soiron, Chairman, Holcim; Javier de Benito, Area Manager Africa Middle East, Holcim; Dessi Slava, Kéré Architecture; Dieudonné Souguouri, 1st Counselor, Embassy of Burkina Faso in Switzerland; and team from Kéré Architecture including Diébédo Francis Kéré (with certificate). 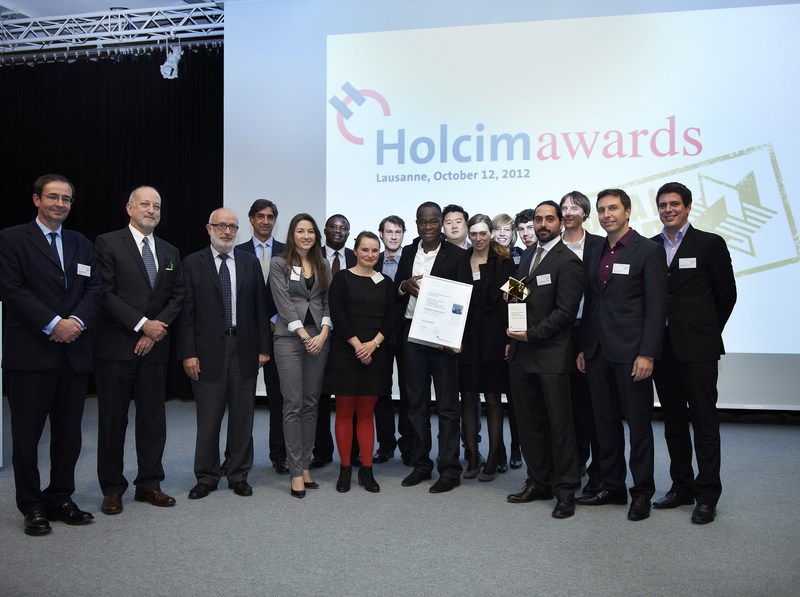 Presentation of the Global Holcim Awards Gold 2012 for "Secondary school with passive ventilation system", Gando, Burkina Faso, in Lausanne, Switzerland (l-r): Enrique Norten, Principal and Founder of TEN Arquitectos, and head of the Global Holcim Awards jury congratulates main author of the winning project, Diébédo Francis Kéré, and members of his team, David Jun, Ines Bergdolt, and Hanna Kümmerle. Media conference and prize-handover reception in Ouagadougou, Burkina Faso (l-r): Rolf Soiron, Diébédo Francis Kéré and Joe Osae-Addo. 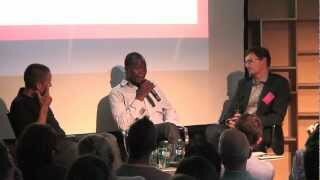 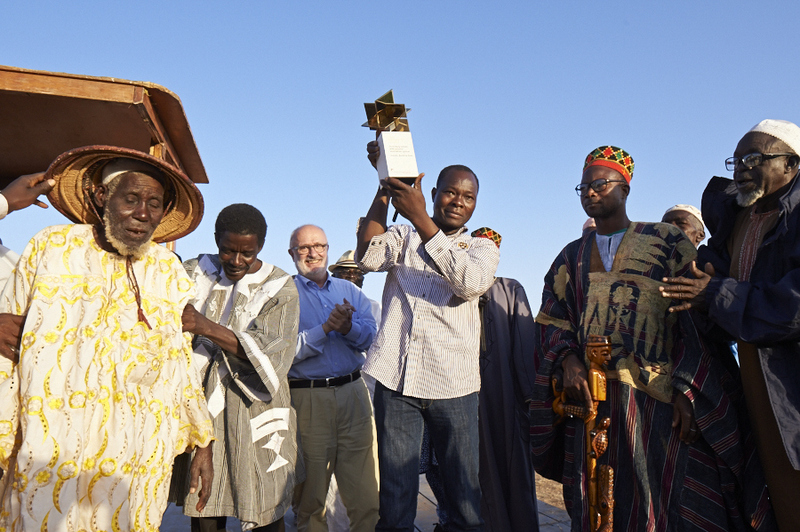 Project author Diébédo Francis Kéré presents the Global Holcim Awards Gold 2012 trophy to more than 3,000 people from the Gando community and neighboring villages who came to welcome him home. 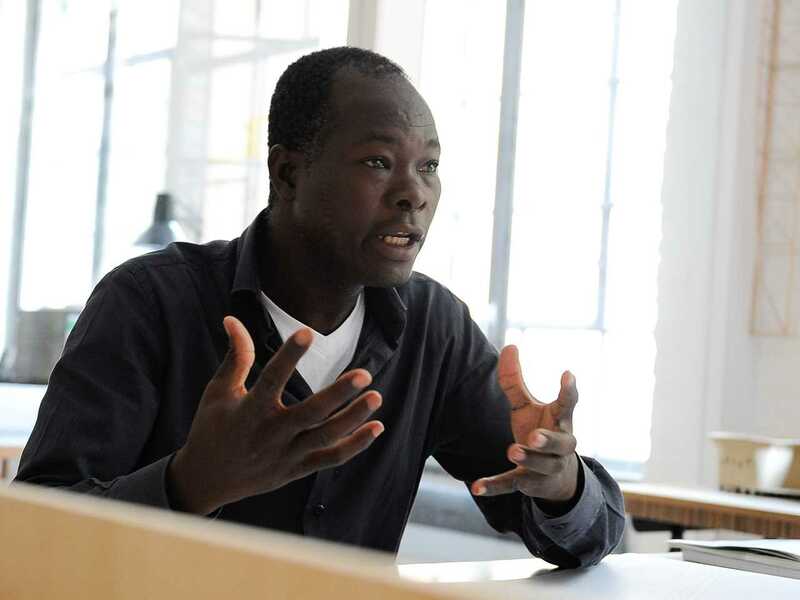 Francis Kéré is Principal of Kéré Architecture, based in Berlin, Germany. 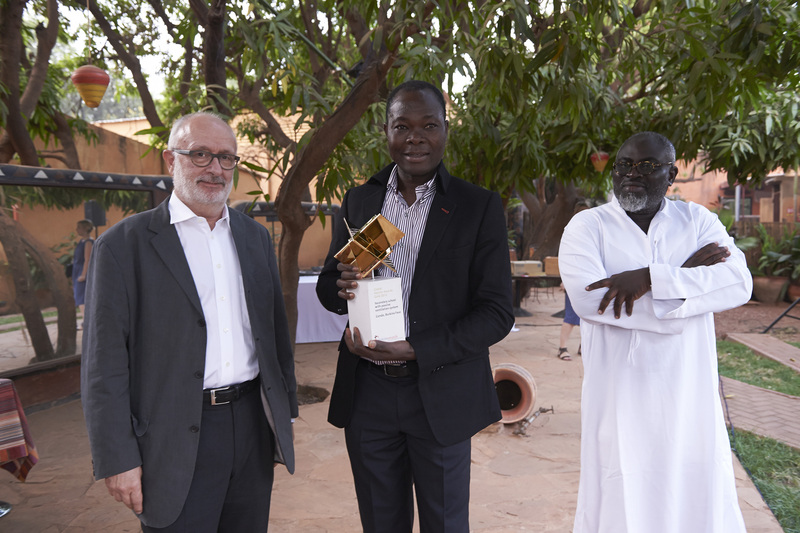 Established in 2005, Kéré Architecture has since developed an international reputation for its focus on enabling community-supported construction of sustainable and appropriate education facilities that effectively contribute to social development. 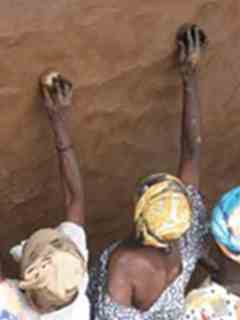 The design of material-sparing structures with mud bricks and lightweight steel frames are often built by unskilled labor with an elegant economy of means. 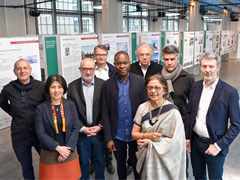 He is Guest Professor at the Harvard Graduate School of Design (2011-) and Professor at the Accademia di Architettura di Mendrisio, Switzerland (2013-). 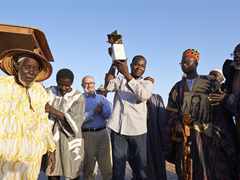 He was born the son of the village chief in Gando, a small village in Burkina Faso. 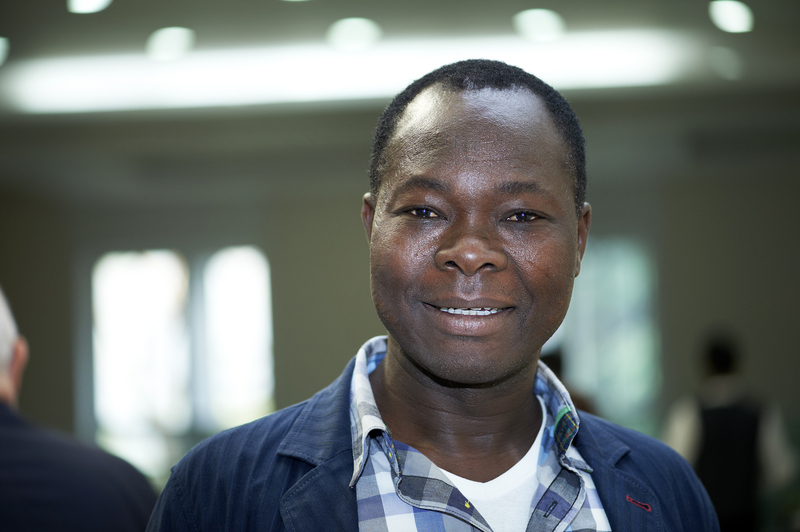 Since no school existed in Gando, he went to live with his uncle in the city at seven years of age. 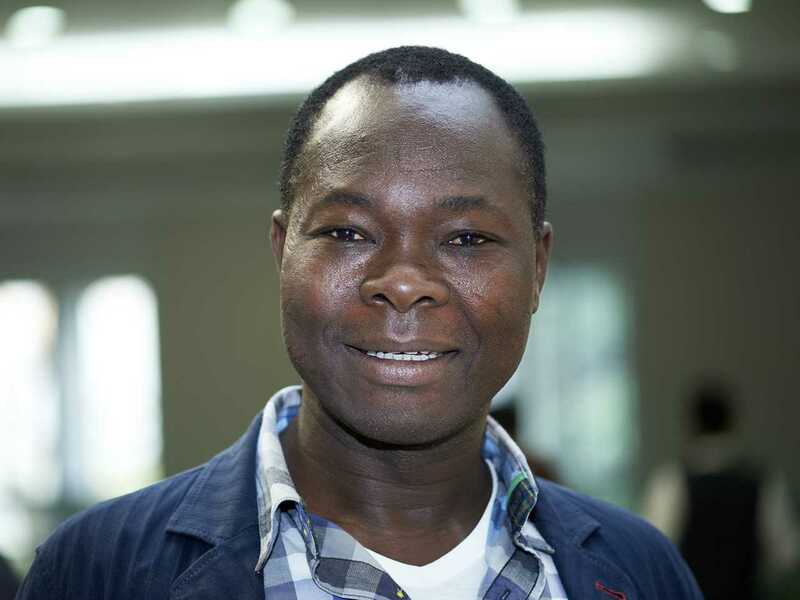 He became a carpenter and received a scholarship to undertake an apprenticeship in Germany as a supervisor in development aid. 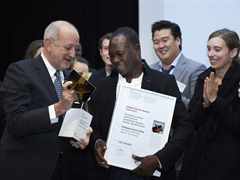 After completing the apprenticeship, he went on to study architecture including modules in civil engineering at the Technische Universität (TU) in Berlin. Francis Kéré felt it was his duty to contribute to his family and to the community that had supported him, and to give the next generation the opportunity to follow in his footsteps. 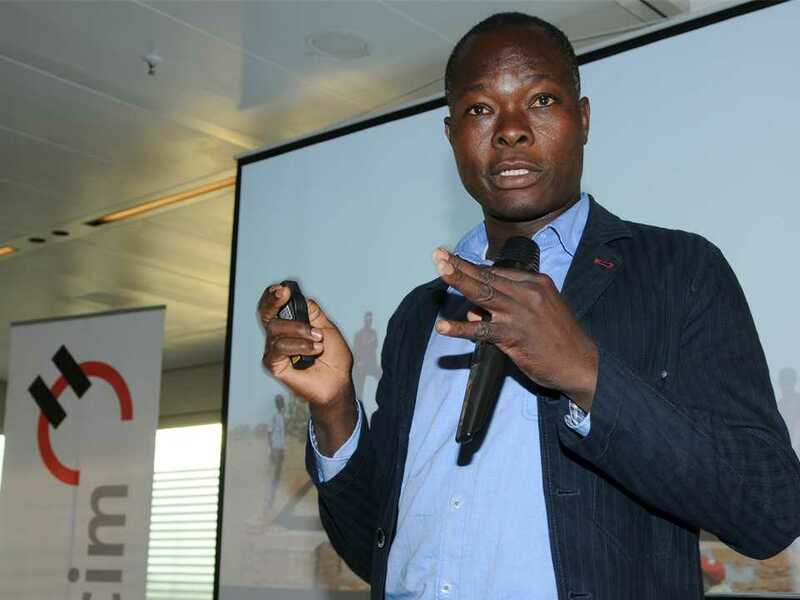 As a university student, he built a primary school in his home village and set up the association “Schulbausteine für Gando” to fund the project with the objective of combining the knowledge he had gained in Europe, with traditional building methods from Burkina Faso. 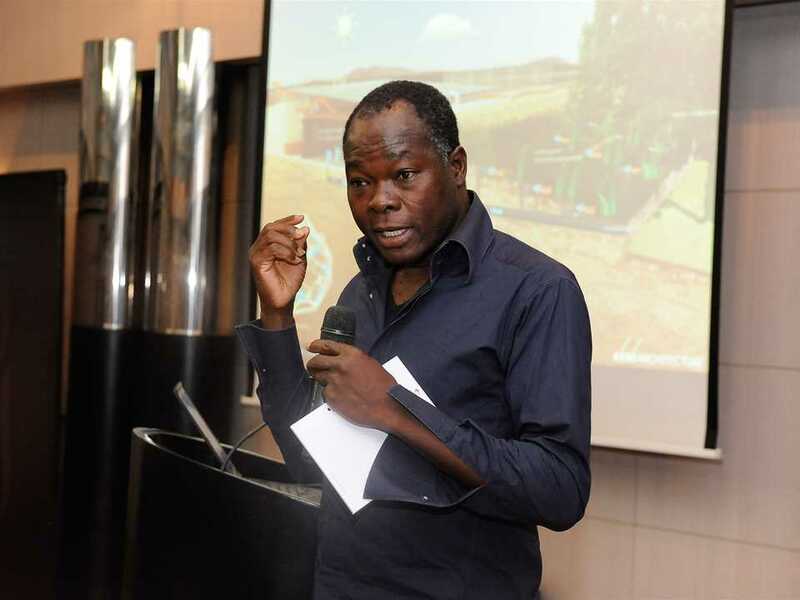 His works in Gando, Burkina Faso include the Primary School (2001), Teacher’s Housing (2003), School Extension (2008), Library (2012), and Secondary School (2012). 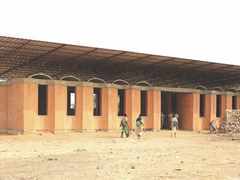 His first school in Gando received the Aga Khan Award for Architecture. 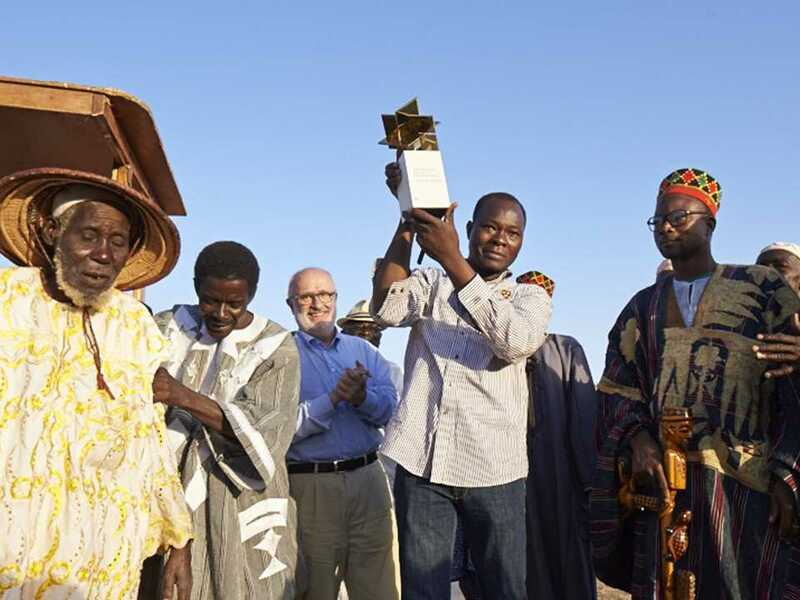 The follow-up project in Gando, a secondary school, received the LafargeHolcim Awards Gold 2011 for Middle East Africa and also the Global LafargeHolcim Awards Gold 2012. The project received the first ever LafargeHolcim Building Better Recognition 2017 in honor of its influence as a realised project that has stood the test of time. 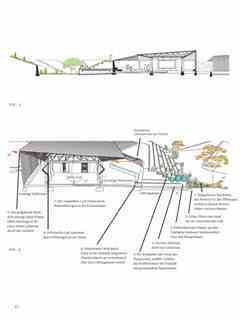 Other works in Burkina Faso, Mali, China, Mozambique, Kenya, Togo, Sudan, Germany and Switzerland include the Dano Secondary School – Dano, Burkina Faso (2007), Center for Earth Architecture – Mopti, Mali (2010), Opera Village – Laongo, Burkina Faso (under construction), Cultural Precinct at Zhou Shan Harbour Development, China with Wang Shu, Medical Center – Léo, Burkina Faso (2012), and International Red Cross & Red Crescent Museum – Geneva, Switzerland (2012). 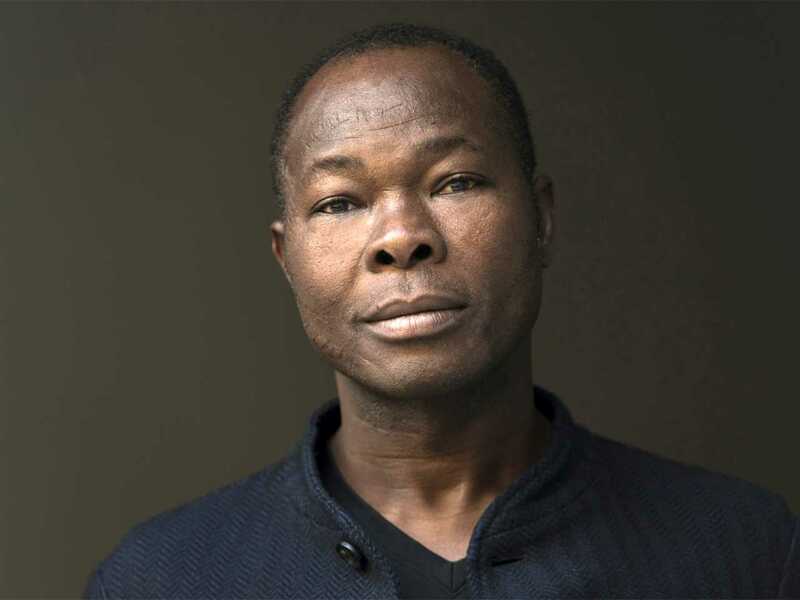 Francis Kéré became the first African architect of the Serpentine pavilion (2017): a temporary summer pavilion by an international architect or design team who has not completed a building in England at the time of the Gallery’s invitation. 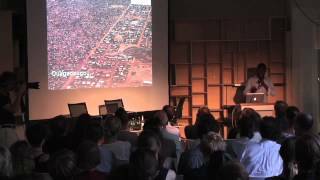 He is a respected authority in the field of architecture, and on the design of buildings to be ecologically- and socially adequate for their environment. 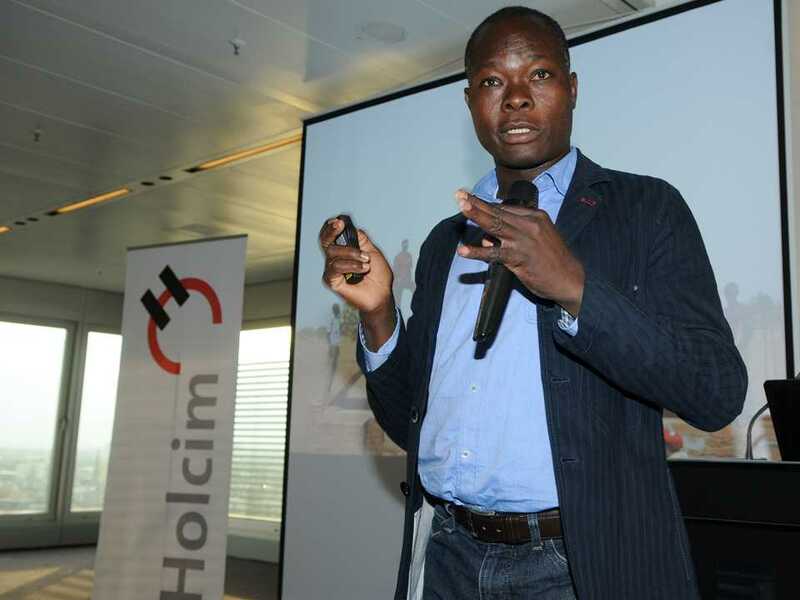 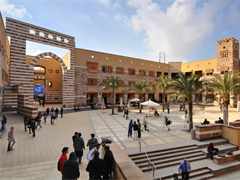 He has held lecturing positions at the Harvard Graduate School of Design, Cambridge, MA, USA; Technische Universität (TU) in Berlin, Germany; and University of Wisconsin in Milwaukee, USA. Francis Kéré will design a building and masterplan for the new Assembly Building of the Burkinese Parliament. The new building needs to be one that could “not only address the core democratic values of transparency, openness and equality, but could also become a catalyst for growth and development for the capital city of Ouagadougou as a whole,” says Francis Kéré. 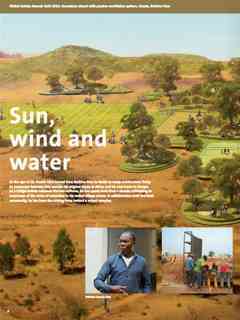 He is winner of the Global Award for Sustainable Architecture (2009); BSI Swiss Architectural Award (2010), the Marcus Prize (2011) Green Planet Architects Award (2013), Schelling Architecture Foundation Award (2014), and the Kenneth Hudson Award for European Museum of the Year (2015). He received the Arnold W Brunner Memorial Prize in Architecture from the American Academy of Arts & Letters (2017) where he was praised as “an alchemist working with local materials and technology to design buildings of meaning and beauty”. 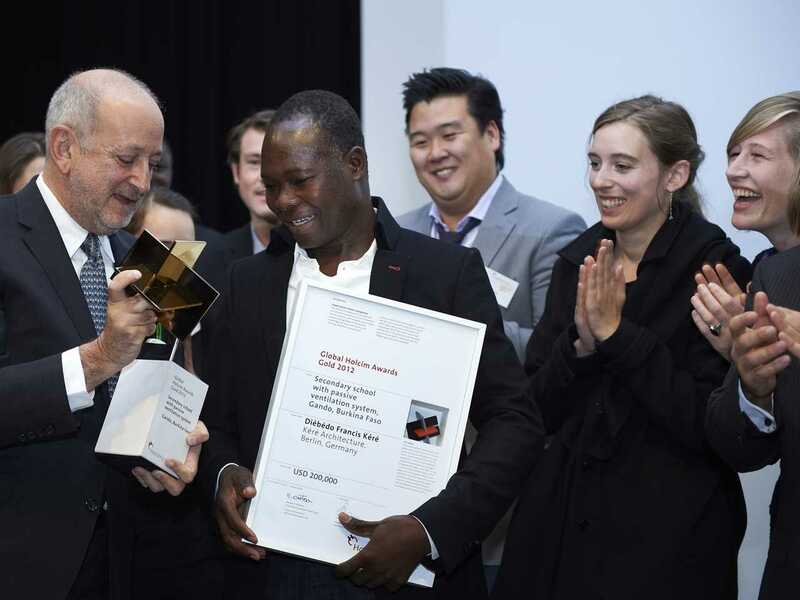 The prize is given to a preeminent architect who has made a significant contribution to architecture as art. 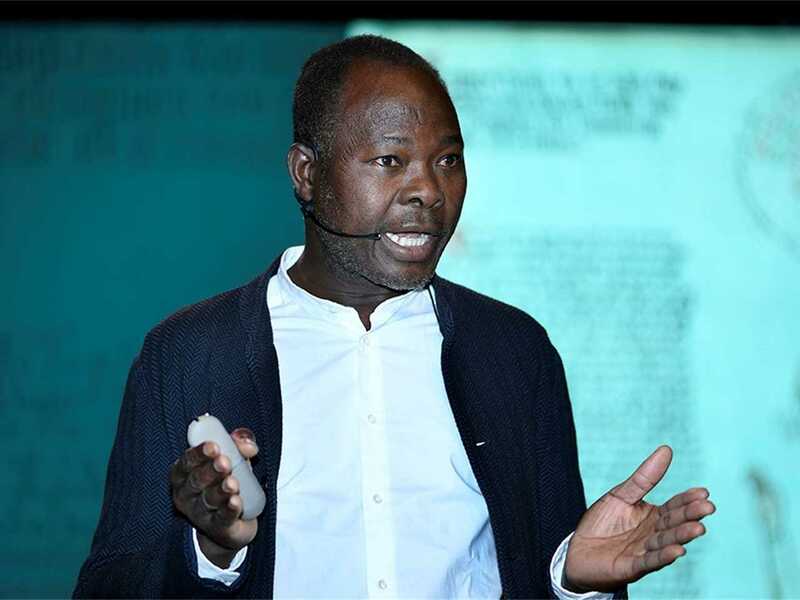 He was recipient of the Prince Claus Laureate Award in 2017 highlighting the cultural value and importance of beautiful, sustainable and empowering architecture. 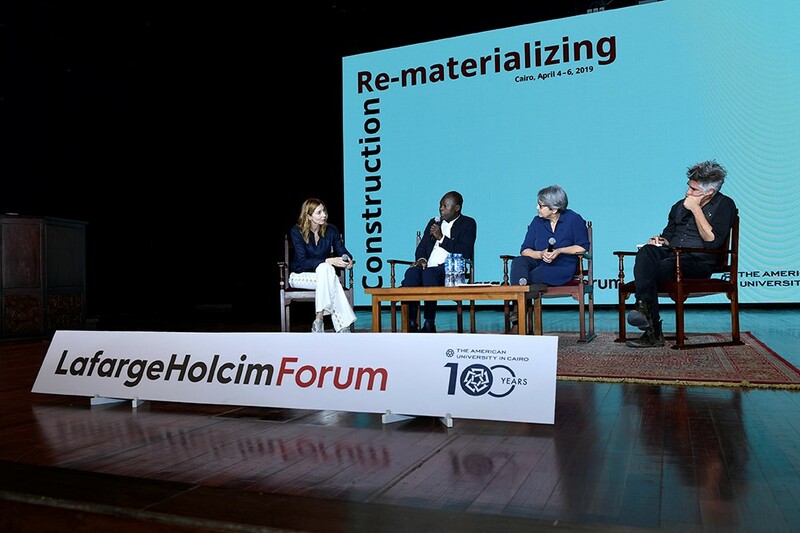 He was appointed as an Honorary Fellow of the Royal Architectural Institute of Canada (RAIC) in 2018, recognising the importance of socially and environmentally responsible architecture. 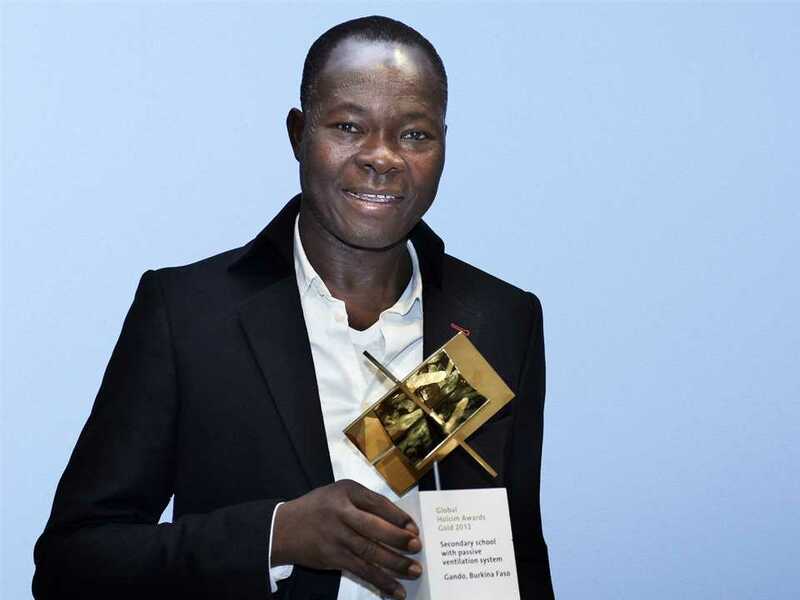 “Since I started, I always tried to incorporate the people and their environment in my designs, and being recognised for it sends the message that it is important,” said Francis Kéré. 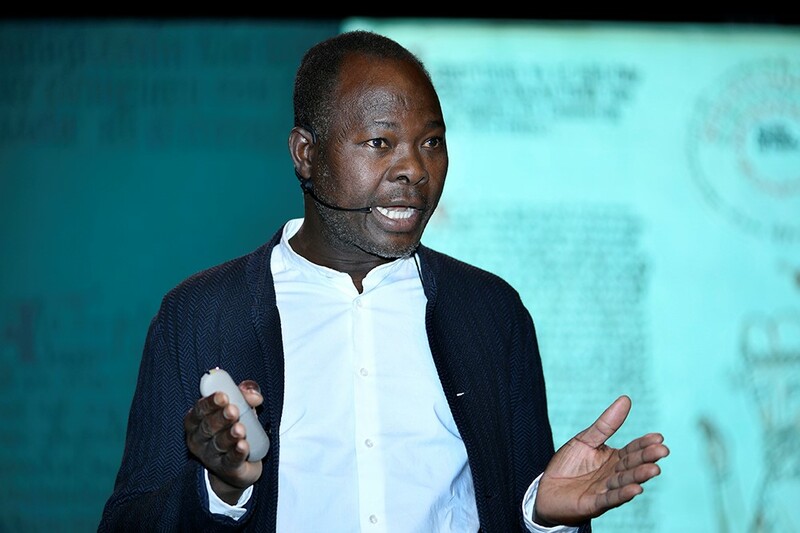 His architectural work has been the subject of solo exhibitions: Radically Simple at the Architecture Museum, Munich (2016) and The Architecture of Francis Kéré: Building for Community, Philadelphia Museum of Art (2016). 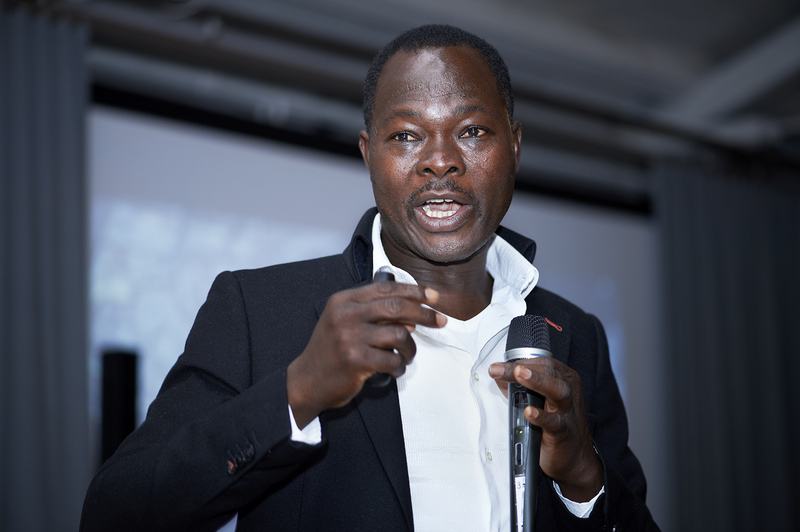 His work has also been selected for group exhibitions: Small Scale, Big Change: New Architectures of Social Engagement, Museum of Modern Art, New York (2010) and Sensing Spaces, Royal Academy, London (2014). 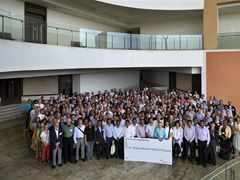 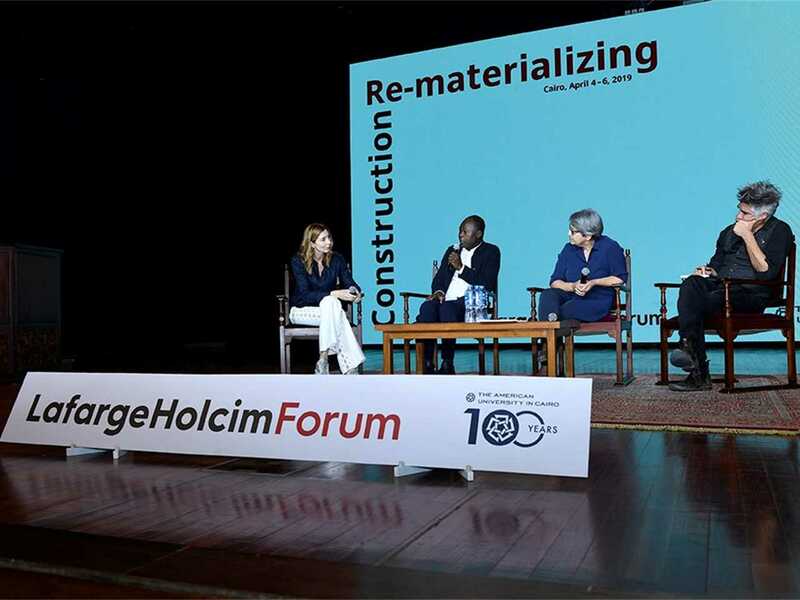 He was an expert in the workshop Local resources - Leveraging regional skills and metabolism at the 4th LafargeHolcim Forum “Economy of Sustainable Construction” held in Mumbai (2013). 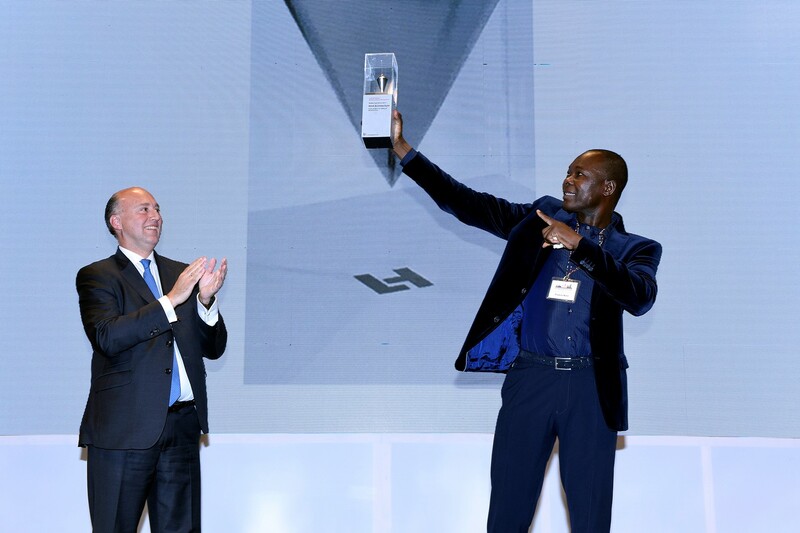 He is winner of the LafargeHolcim Awards Gold for Middle East Africa (2011), Global LafargeHolcim Awards Gold (2012), and the LafargeHolcim Building Better Recognition for Middle East Africa (2017). 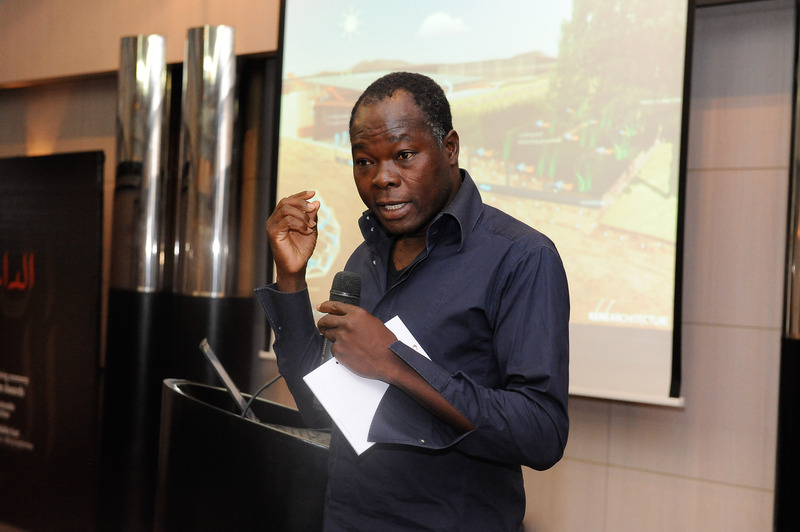 Francis Kéré was a member of the LafargeHolcim Awards jury for Africa Middle East in 2014 and of the Global LafargeHolcim Awards jury in 2018. He was a speaker at the 6th International LafargeHolcim Forum for Sustainable Construction held in Cairo, Egypt in April 2019. 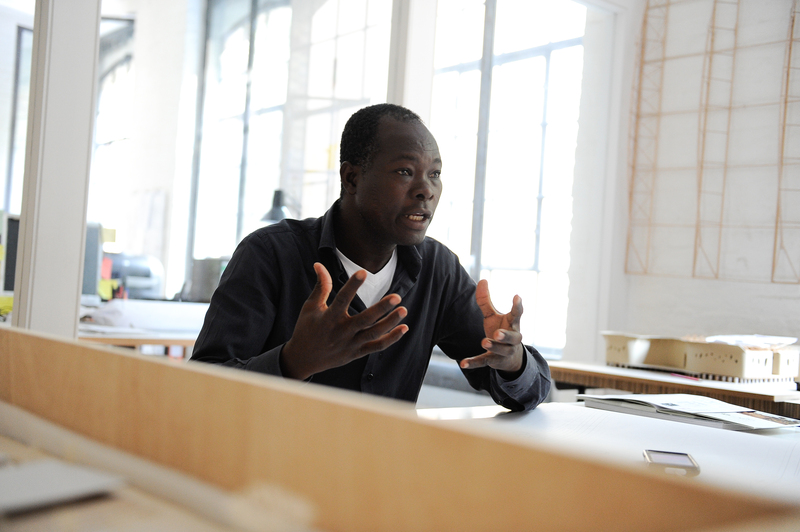 Kéré: "A project about architecture, people, and dealing with two different cultures"